Writing in a haunted hotel. If you follow me on social media, you know I have this tradition of heading up to the Stanley Hotel once a year in the winter, getting some writing done, then looking for ghosts. The Stanley is located in Estes Park, CO, about a 45-minute drive from my house. 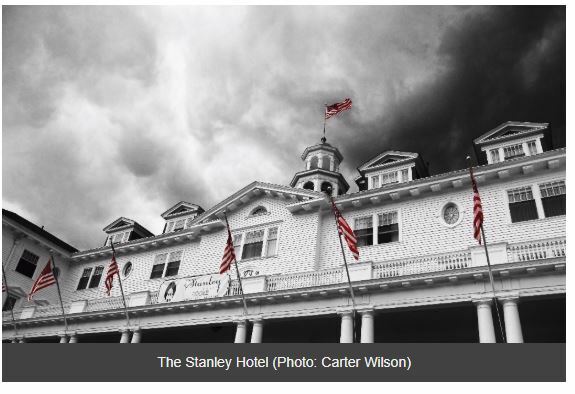 Famously known as Stephen King’s inspiration for The Shining, the Stanley has enjoyed tales of haunted rooms well before King ever set foot in there. In fact, there are a handful of rooms with the most “known activity.” I have stayed in four different haunted rooms over the years. Yet I’ve never heard as much as a peep from the ghosts. During my 2016 visit I was assigned room 401, supposedly the most haunted room in the hotel (Google “Stanley Hotel room 401” to see what I mean). When I got to the room, there was a family who saw me going into the room and asked if they could come inside to take pictures. Later, I listened from inside my room as a tour guide stood outside my door and told the group how room 401 is haunted by Lord Dunraven, a narcissistic womanizer who often stayed there. Female guests might feel a touch on their neck in the middle of the night; male guests might notice personal items missing. I knocked out over 1,500 words at the Stanley’s Cascade restaurant over dinner and espresso martinis (I’ve had success at Cascade; last year, I completed my upcoming novel over dinner there). After dinner, I went back to the room. At 11:30pm, I decided to wander the halls. 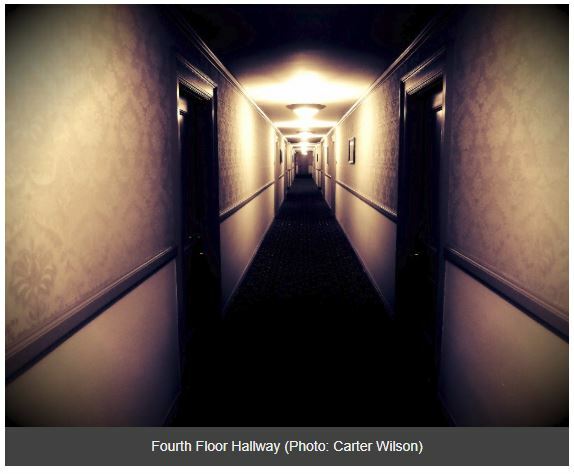 Haunted or not, the Stanley Hotel guest hallways are creepy around midnight on a slow, winter night. Starting from my room I inched my way room by room down the long fourth-floor corridor. All I could hear was my weight on the old floorboards. Too silent. Time to get back to the room. But wasn’t the room supposed to be haunted? Inside everything seemed fine, though the closet was massive and had no light, so it was hard to see inside. There was no way I was going into that closet. Finally, I went to bed. I think I had weird dreams, but that’s not unusual for me. I woke with my mind intact, and my things just where I had left them. Down to breakfast, then back up to the room to pack up and leave. I did notice a weird smell in the room, almost sweet and smoky. Not quite cigar, but not far off. And it was only in my room, not the hallway. Then I took my camera lens cap from where I’d left it in the dresser drawer and placed it on top of my bed. I specifically remember thinking how I wouldn’t forget it because the black cap stood out against the white of the linen. I went into the bathroom, came back out, and the lens cap was gone. I swear I looked everywhere for it. Never found it. It wasn’t exactly a Shining moment, but still, it was pretty creepy. This year’s trip is just before Christmas, so hopefully the ghosts will be festive. Book: Neil Gaiman’s View from the Cheap Seats. A fascinating collection of essays, articles, and speeches given by one of the most talented and eclectic writers of our time. This is a must read. Movie: The Big Short I re-watched this recently with my girlfriend and was just as compelled as I was during my first viewing. A fantastic piece about a hard-to-explain subject: the collapse of the housing market in 2008, which triggered the Great Recession. You know a movie is good when you’re riveted by a description of credit default swaps entailing the use of Jenga pieces. TV Show: Big Little Lies. All-star cast? Murder mystery in a wealthy, California coastal community? Only 7 episodes? Count me in. Spotify Playlist: Christmas Peaceful Piano I struggle with Christmas music. The songs that made me deliriously festive as a kid now make me want to see if cyanide really does taste like almonds (to wit: Jingle Bells, Last Christmas, anything by Mariah Carey). This piano-only playlist helps get me in the spirit without crushing it entirely. Glitter on holiday cards makes me homicidal. 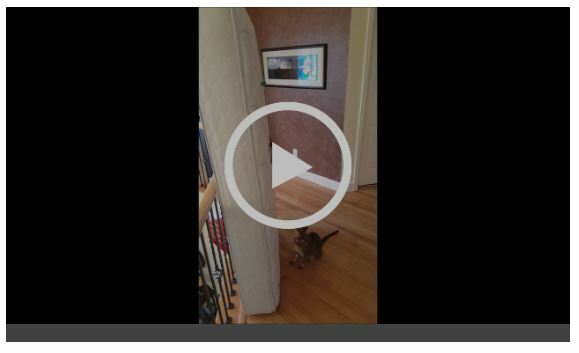 Here’s a video of Guff pulling a mattress onto his head. Rest assured, he was just fine, so you can watch this whenever you need a smile.